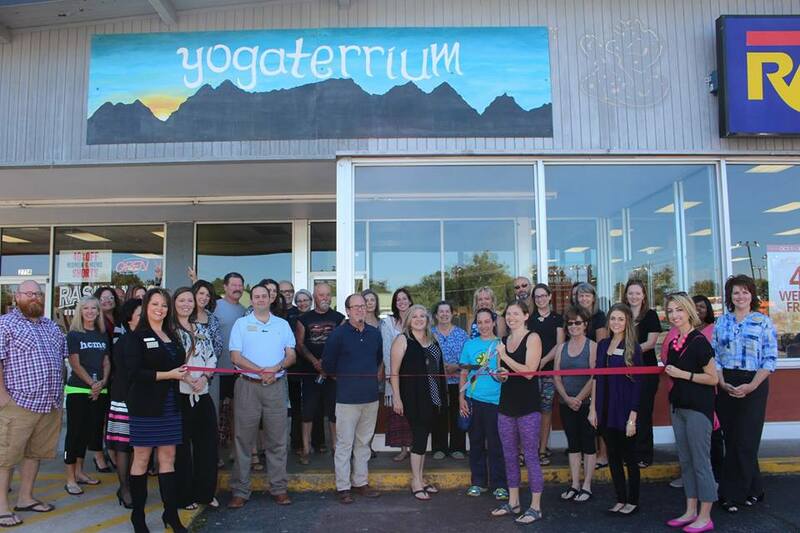 Yogaterrium was founded by Terri Hargrove and first opened it's doors on July 1st, 2015. This space was opened with the goal of creating a welcoming environment offering classes for all levels and budgets. We believe that yoga should be available to everyone! There are a variety of students at different levels in their practice; there are those discovering yoga for the first time and those who flow effortlessly into a headstand. The common theme encouraged through all students is to feel safe at yogaterrium, to practice yoga without competing, judging, or the fear of being judged. We are all here to grow, deepen our practice, enjoy ourselves and reap the many physical, mental and spiritual benefits of yoga. It is so important that we take time for ourselves (both body and mind) in the fast paced world we live in. At yogaterrium we want to help with your ability to remain present and mindful in your actions, both on and off the mat. ​Hope to see you soon!